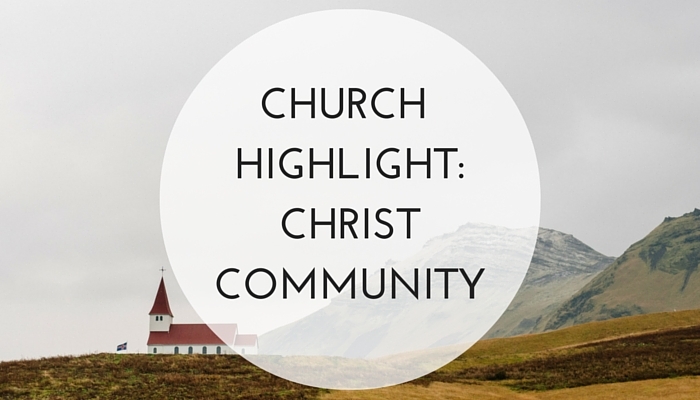 There were two main reasons Christ Community Church came into existence in 2006. First, the percentage of people who are unchurched in Wilson is well over 50%. So, there is a need for new churches focused on reaching the lost in our community. Secondly, at that time, there were no churches in Wilson that were baptistic, elder-led, committed to expository preaching, reformed, and gospel-centered. Therefore, a committed group of individuals in the community approached Open Door about the possibility of beginning a church plant in Wilson. We have seen people growing in their faith and obedience to Jesus. We’ve had the privilege of leading a Jehovah’s Witness to faith in Jesus. Through our outreach efforts in the community, we have been able to proclaim the gospel to the lost. Many men have come through our church that we’ve been able to disciple and then send to seminary or to pastor other churches. Our desire continues to be to lead people to know Jesus, worship God, grow together, and serve community. We want to reach those in our community who are lost and groping in the darkness without the gospel of Jesus Christ and lead them into a growing and faithful walk with him. Additionally, we want to continue to disciple believers and grow together in maturity as the body of Christ. Finally, we want to be a church that is known for the way we love our community for the glory of God. We’re in our tenth year of existence, so I could probably list a lot things that we’ve learned from our mistakes - from the spiritual to the practical. So, I’ll just list some initial thoughts that come to mind - in no particular order of importance. Be patient and intentional in the membership process. As a church plant, you will be eager to accept just about anybody that comes through the door to help stabilize the future of your church. But, being patient is best both for the health of the individual attending and the church itself. Be patient and intentional in the selection of elders. Be sure that you invest time getting to know potential leaders well, look for how they care for other members, and listen closely to how they make personal decisions. All of those things take time to evaluate. If you can afford it, don’t piecemeal your setup supplies. Try to track down and use a holistic solution. It will make training your set-up teams easier, it will make setup faster, and it will make better use of your trailer/storage space. There are companies that provide these solutions, but they are pricey! I’m not speaking from the experience of a holistic solution (I wish that I were! ), but from our experience using a piecemeal solution. In the end, we probably spent the same amount of money over time and would have been better served with an initial complete solution. Be sure you know exactly why you’re doing everything you do. Most of the time church plants are thinking this through anyway, but be sure you can answer the “why” question for everything. And, be sure you communicate the “why” to your people every chance you get. You think about it all the time because it’s your full-time role - they don’t. So, keep reminding them. Maintain a healthy balance of outward vision and inward vision. Or to put it more simply: be sure you’re both reaching the lost and discipling believers. Don’t neglect one for the other. The most important thing a church planter does each week is proclaim God’s Word to God’s people. Therefore, don’t mistake busyness with practical and admin duties that you neglect the Word of God. Christ Community Church wants to provide hands-on opportunities for individuals to learn about leading a church plant. We invite anyone interested in interning to contact us. An internship would include spiritual leadership responsibilities, regular preaching opportunities, and other leadership roles. We have music leadership opportunities as well. At this time, the internships would be unpaid, but we would reimburse for mileage expenses if someone is commuting from the Raleigh area. Email jonathan@christcommunitywilson.com if interested. 1. Pray that we would be faithful in reaching the lost in our community. 2. Pray that the people of Christ Community Church would continue to demonstrate the love of Christ through their unity with one another. 3. Pray that God would give our elders abundant wisdom as we lead His church.